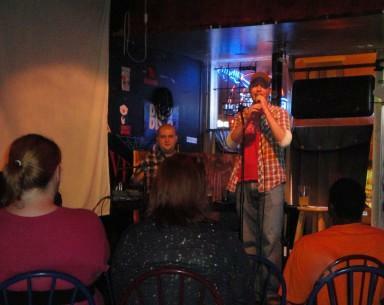 Jay Groharing hosts the "As Yet Unnamed Comedy Show" at Eastside Tavern every Tuesday night. Does the idea of standing up in front of a bunch of strangers and trying to make them laugh seem horrifying or exhilarating? For some people it’s both. This week, we explore the world of stand-up comedy and discover what kind of person willingly puts themselves out there.